The four-piece from St Ives (Cambridgeshire, not Cornwall) have been making a bit of a name for themselves since 2016 having been supporting the likes of Stone Broken, and Dan Reed Network. A great fit for the NWOCR genre with solid playing, and towering vocals of Joe Bonson akin to an early Paul Rodgers these guys are going to fly. Top this with a top five place in Planet Rock award for Best New Band, it can be readily seen why they’re making inroads in the music scene. The opening track on this album reminds me of soon to be lamented Bigfoot. With influences like Black Stone Cherry, Thunder and Slash its not surprising comparisons are going to be made to the style of music played. ‘Take It All’ opens up with a very catchy riff and solid rhythm section before those impressive vocals kick in. ‘Let You Down’ is going to be a singalong special at any venue, (although it does sound like Joe is singing “lay you down”). Black Stone Cherry can readily be heard in the guitar work in the opening of ‘Invincible’; however, it is very impressive playing. ‘Think Of Me’ is a much more laid back track and this is where Joe sounds like Paul Rodgers from the earlier Bad Company stuff. ‘Money’ goes straight back to BSC style of playing in a vocal critique of capitalism. ‘All I Gotta Say’ is definitely my favourite track on the album, the guitar goes from clean to dirty and back again with the rhythm section of Jack Bonson and Joe supporting the twin guitars of Tom Collett and the always animated Phil Haines. It’s a cracker of a track. ‘Good Man Gone’ is another belter with both guitars taking the opportunity to show their expert playing. Overrated is definitely not! The thumping drum and bassline drive the track really well. ‘Down By The Water’ is the drum/bass track on the album, where both Bonsons show their craft and the obvious link they have as musical siblings. Subtle changes in vocal style also add to the mix. All too soon you get to the last track, ‘Sinner’, another one obviously inspired by BSC. Altogether an excellent debut album from a very, very good live band, and what’s more they can play them all live to the same standard, but with outstanding energy and enthusiasm that is highly infectious. As if that’s not enough they always take time to speak to fans old and new. It’s going to be in my car CD player for a long long time! 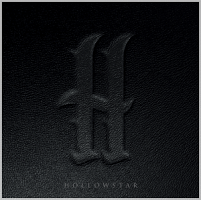 ‘Hollowstar’ is released on 3 May. You can get your copy HERE.